Judwaa 2 has created intrigue ever since the time of its announcement was made. Sajid Nadiadwala and David Dhawan are recreating the magic of the 1997 superhit, ‘Judwaa’ and now its sequel will feature Varun Dhawan playing the dual character of Raja and Prem along side with Jacqueline Fernandez and Taapsee Pannu. The news about the iconic tracks, Oonchi Hai Building“ and “Tan Tana Tan“ to be recreated is absolutely true. The two tracks will be rehashed by none other than Anu Malik himself. Anu Malik will not only sing the songs but also tune them to present-day sensibilities. Anu Malik shares, “When I was recording “Oonchi Hai Building“, it was as if the clock had turned back.To re-create the feel, I played the harmonium while I sang, like I had done in the original. Sandy, who has worked with me and David bhai was brought back as the sound programmer too. We have merged two antaras into one long chunk for the new song and made the beats catchier, we will be re-working “Tan Tana Tan“ as well. The singer-composer further adds,“College students start screaming if I miss out on any of them. These chartbusters have survived the test of time,“. Anu Malik says, I’ve known Varun since he was four and it’s a pleasure to sing for him when he’s a superstar today. It will be a treat for the audience to watch Salman Khan join in for the songs and to shake a leg to the tracks again after 20 years. 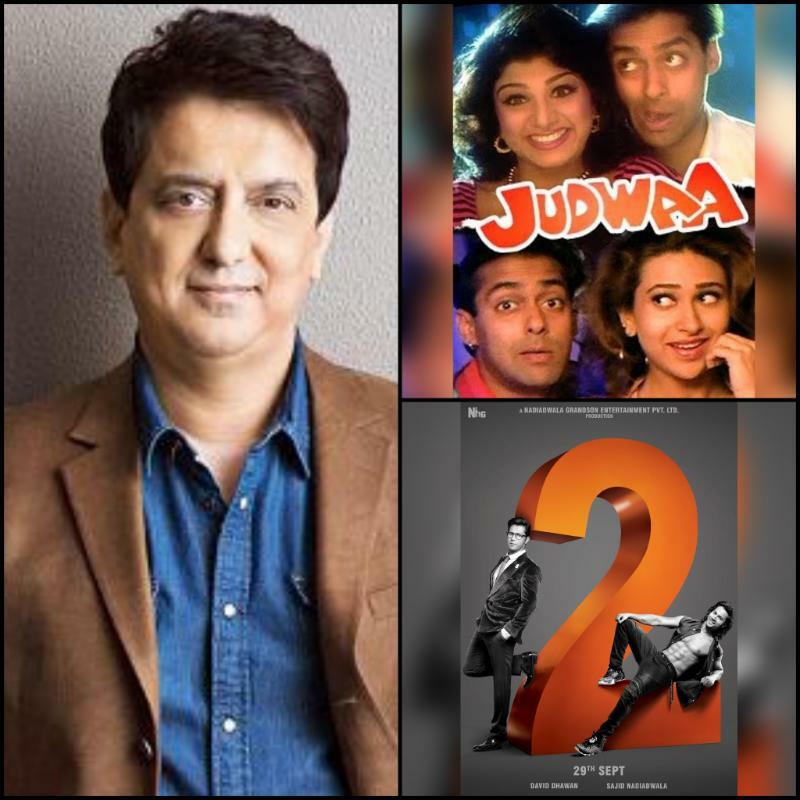 Nadiadwala Grandson Entertainment present Judwaa 2 produced by Sajid Nadiaddwala and helmed by David David. The film is slated to release this year 29th September.